Panyaden’s Dance/Drama began a new unit last week entitled ‘Our Creative World’, which focuses on discovering our environment and the creativity it can inspire. Last week our Nursery students began the first of a series of lessons about the weather, beginning with the rain. Playing in the rain means jumping in puddles or getting under a big umbrella when the rain gets too heavy! 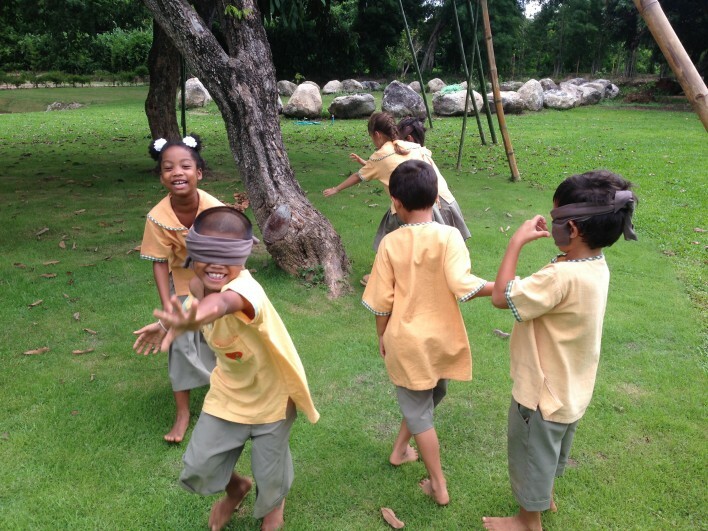 In another session, our Prathom 1 students led each other on a blindfolded sensory walk to discover the sound, taste, touch and smell of the environment around our school. Click here for more photos on the blog. 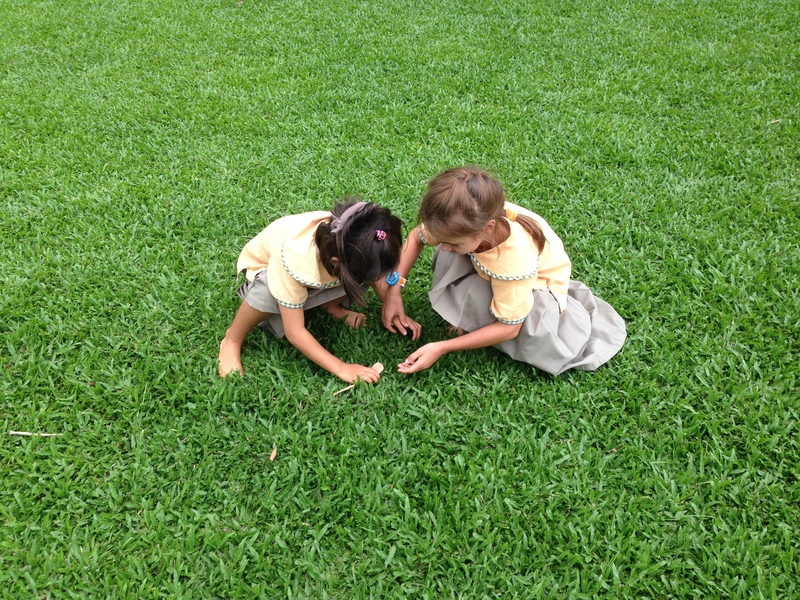 This entry was posted in Featured Posts, School Curriculum and tagged creative world, Dance/Drama, discovering our environment, nursery, Panyaden, Prathom 1, sensory walk, smell, sound, students, taste, touch.